Are your vans reliable, should I worry about a breakdown? Unlike other rental companies, Josh our full time expert VW mechanic on staff maintains our fleet in house and keeps the campervans in top shape. In the event of a breakdown you should contact us immediately and we will take care of the situation. Where do I pick up the van and can I pick up or drop off in a different city? The vans are available to pick up at our facility in Portland, Oregon. You may make arrangements to pick up or drop off in a different city however we charge an extra fee for that depending on the city. Does the rental come with insurance? Yes, The insurance that is included with the price of the rental is secondary insurance to your personal insurance policy. Our insurance picks up what your personal insurance does not cover. There is a $2500 deductible to use our insurance on a claim. The insurance includes both collision coverage ( 1. vehicle protection $45000 maximum) and 2. supplemental liability coverage (state required minimums of $25,000 for bodily injury per person and $50,000 per accident. You can purchase additional collision insurance for $18 per day with a $250 deductible and offers vehicle protection up to $20000. You must be 21 years or older to qualify for the rental. Do I need to camp in reserved campgrounds? No, The camper vans are self contained with everything you need to camp with the exception of a shower and toilet. One of the benefits of traveling in a Campervan is the ability to find a quiet spot to camp away from people. 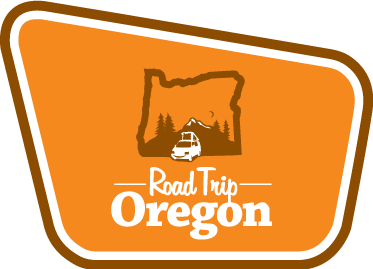 Oregon has plenty of free or very cheap, undeveloped camping spots located on National Forest and BLM land, however these spots aren’t guaranteed and may be hard to find. The benefits to reserved camping is access to maintained rest rooms & showers and the peace of mind of knowing that you have a place to camp for the night. You do not need to reserve an RV site unless you would like to plug into shore power. We highly recommend reserving a camp spot when traveling to the Oregon Coast in the summer months as campgrounds usually fill up. Can I take the van outside of Oregon and into Canada? Yes, you may take the van out of state as well as into Canada. The only travel restrictions are crossing into Mexico or visiting the Burning Man Festival. Is it possible to install a child’s carseat in the van? Yes. The rear bench seats are equipped with shoulder and lap safety belts that can secure a child protective seat. You can rent a booster seat or small child carseat from us for an additional fee. What gas mileage do the vans get? What type of gas do I need to use? How many passengers can travel in the vans? What do I need to do before returning the van? We ask that the van be returned full of fuel and empty holding tanks. A fuel refilling fee or holding tank draining fee will apply. We ask that you wipe down the surfaces inside the van, hand wash dishes, shake out rugs and sweep excess dirt from the floor. Returning the van excessively dirty will result in a cleaning fee taken from your security deposit. Please do not run the van thru the carwash as damage may occur. What are the vehicle dimensions? How many gallons of fresh water do the vans hold? Can I drink the water from the faucet? The water in the holding tank is potable fresh water. We recommend using this water for cooking and washing dishes and then purchasing a jug of drinking water for preferred taste. How long will the propane last? In the Eurovan Camper, the propane tank holds approximately 5 gallons of propane. If you are only using the propane for cooking and running the fridge, it will last about 2 weeks. If you are also using the propane furnace to heat the van regularly the propane may only last for 7-10 days. How do I check the propane level? The meter level button (inside the van below the stove) will give you an approximate idea of how full the propane tank is. For a more exact reading there is a meter fixed to the propane tank. Beneath the van on the driver’s side below the 2 round vent covers – you will have to get down on your hands and knees to see this meter. How does the furnace work in the Sprinter van and Eurovan Camper? The furnace runs on propane and is vented to the outside meaning you can operate the furnace while you are camping without worry. You simply turn on the thermostat, select a temperature with the lever on the top and the furnace turns on automatically. How do you power the fridge in the Sprinter van and Eurovan Camper? The fridge functions on either propane or electric. Propane Setting – The van must be level to operate on propane and there must be sufficient charge in the auxiliary battery. The fridge works while driving however the pilot light may go out from time to time. Electric Setting – The fridge will operate on 110v when the van is plugged into an outlet. We do not recommend running the fridge using the 12v auxillary battery setting as the battery will not hold enough of a charge for a length of time. Can I use the electric outlets in the van anytime? In order to use the 120V outlets in the Eurovan Camper the van must be plugged into an electric source. The 12V plugs may be used anytime and power is supplied by the Auxillary battery. The Sprinter van 120V outlets only work when the van is either plugged into an electric source or you start the onboard generator. The 12V plugs may be used anytime and power is supplied by the Auxillary battery.